WOKING FC’s Community Team had the match of the day last week when the England team boss Roy Hodgson and coach Ray Lewington held a VIP training session. Merrist Wood College hosted 170 children who were all put through their places by the national team chiefs, with a helping hand from Woking’s Community Co-ordinator Jane Spong and her team. 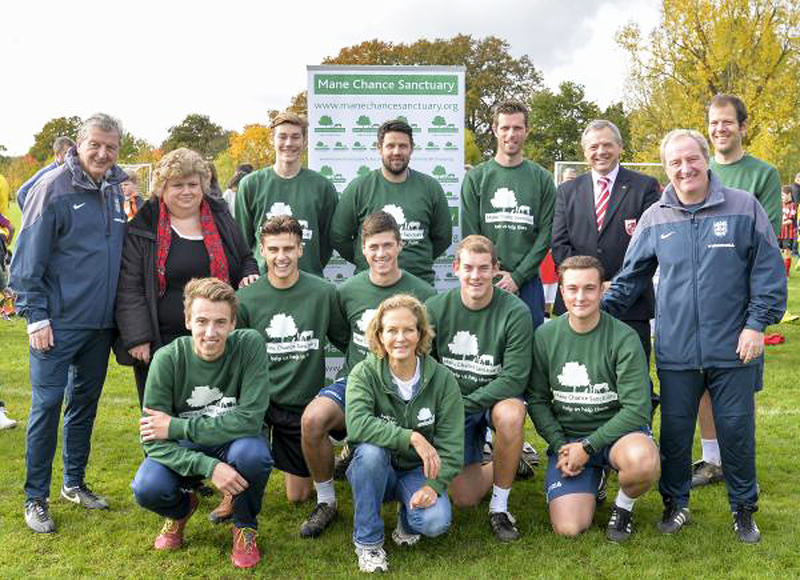 The once-in-a-lifetime football day was held in support of Mane Chance Horse Sanctuary who, like their Woking FC counterparts, are a local award-winning community charity project. Jane said: “The Development Team at Woking FC were delighted to be able to help Mane Chance Sanctuary raise much-needed funds. Of course, the added bonus for us was that we got a chance to work with the England management team.